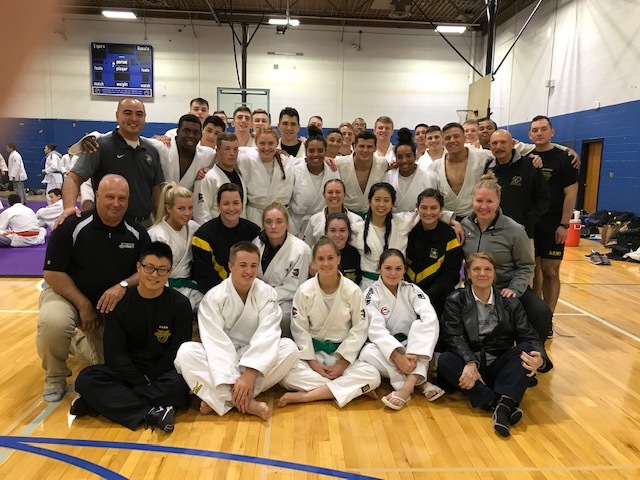 Mission: The Army West Point Judo team cultivates an environment devoted to excellence on and off the mat by doing the right thing, getting results, and having fun. Our Judo family empowers its members to become tenacious, caring, and competent warriors of character. Consistent members of the Judo Team are given the opportunity to rise up within the judo rank structure from white belt to black belt during their four years. Coaches and cadet leadership have a wealth of experience that is shared during daily instruction and training in the art of the Kodokan. The team thrives on cohesion, a competitive environment, and individual discipline which is exhibited fully in regional, national, and international collegiate-level competitions. Our program inspires physical fitness, a means of self-defense, a positive social atmosphere, and a way of life that develops cadets to become proficient and fit future Army Officers. MAJ Greg A. Sablan, P.E.